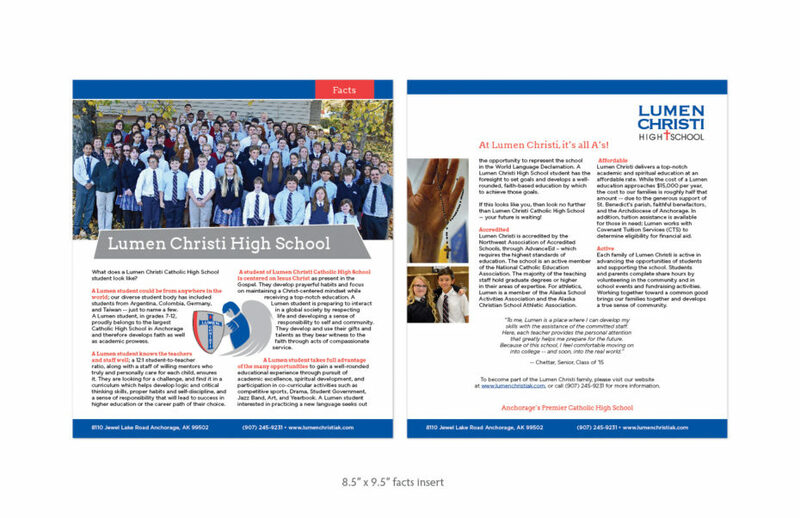 Lumen Christi High School brand identity - Red Carrot Design, Inc.
Lumen Christi High School is a Catholic school for grades 7-12 in Anchorage, Alaska. 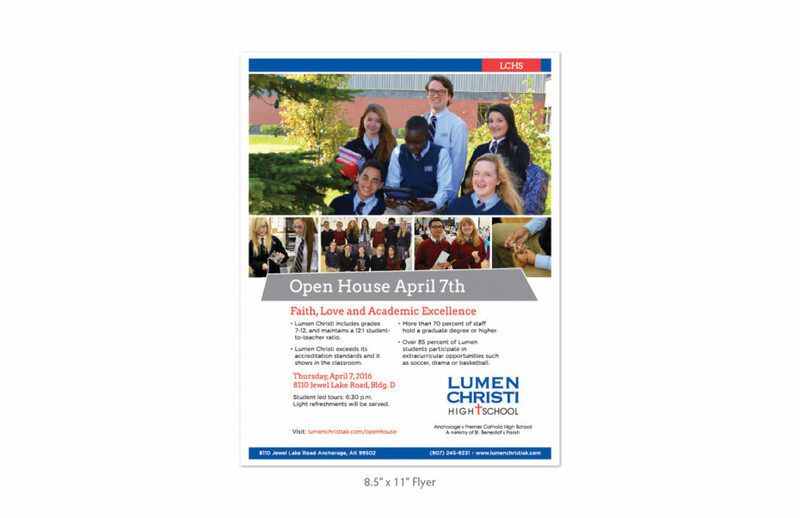 The Problem/Issue: Inconsistent brand usage and outdated marketing materials. 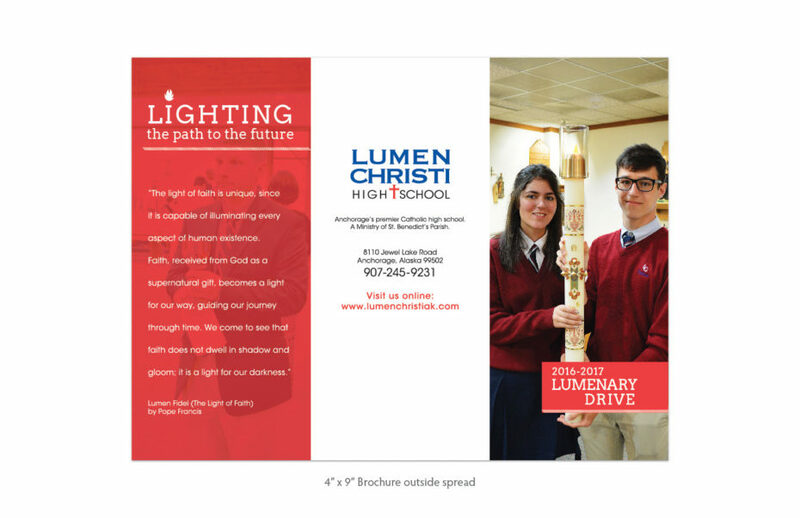 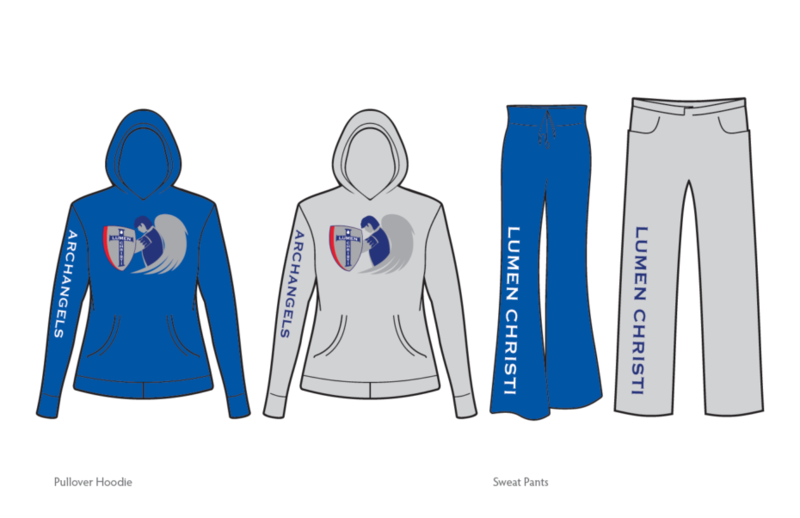 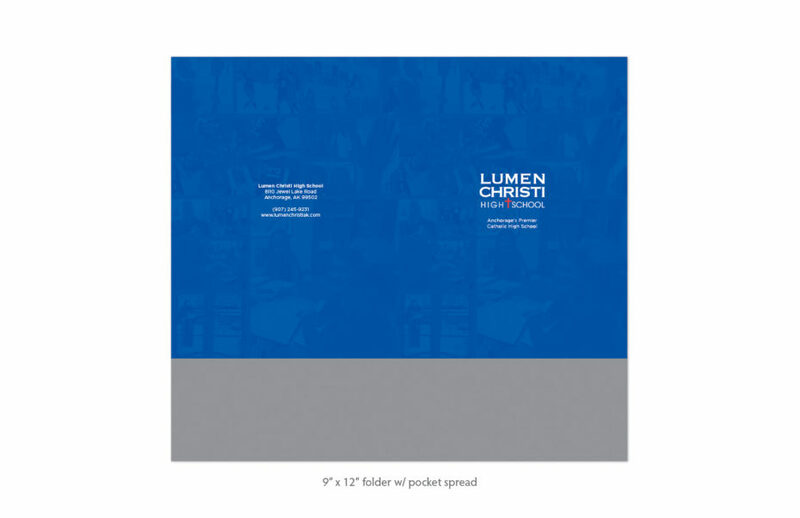 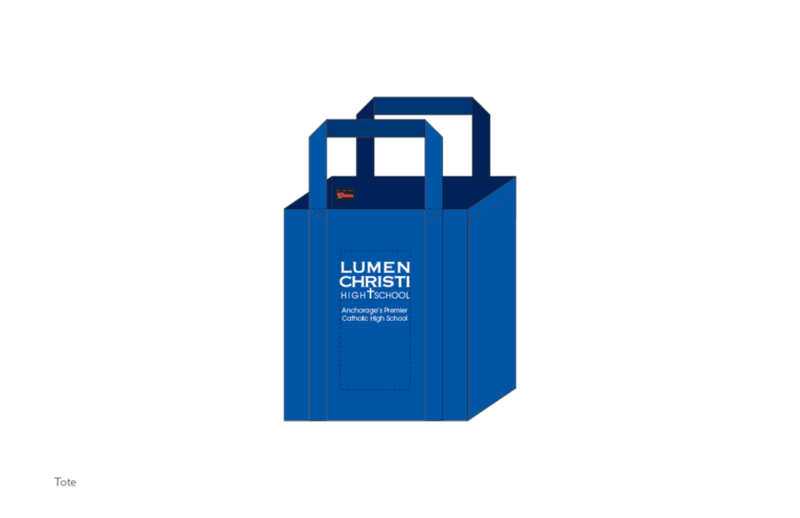 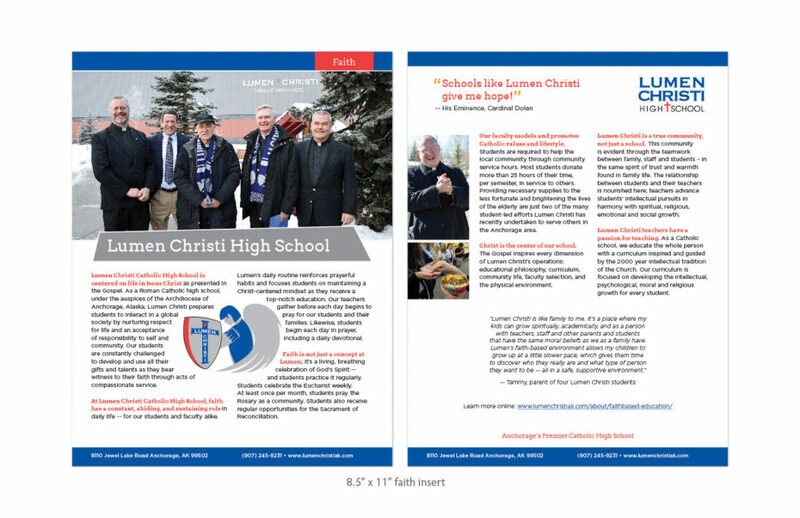 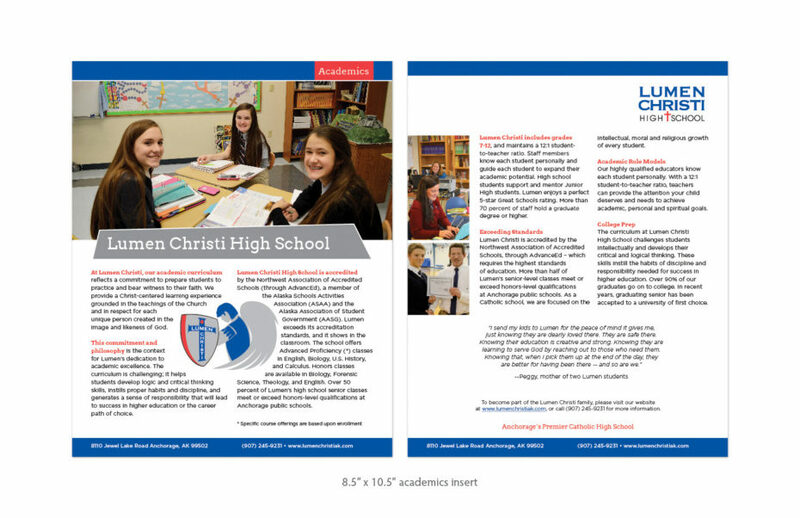 Our Solution: Red Carrot Design, created a primary logo, school mascot, and marketing collateral for Lumen Christi High School. 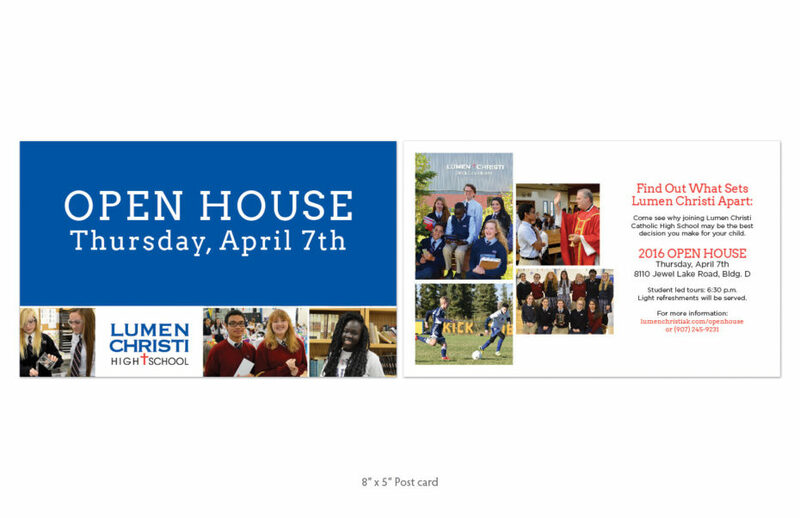 The refined logo lettering and a new color scheme delivered a consistency. 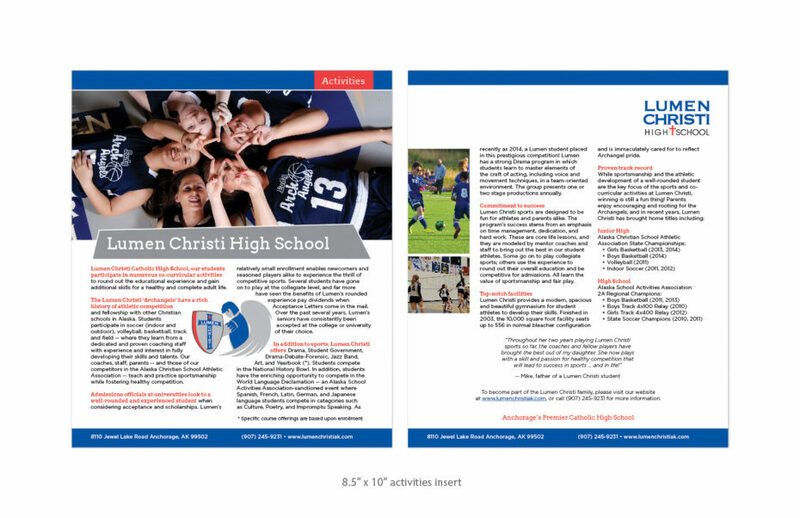 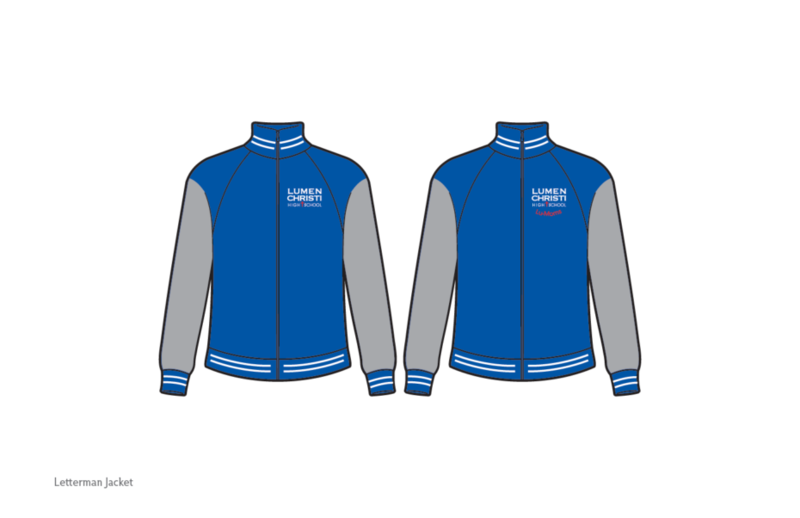 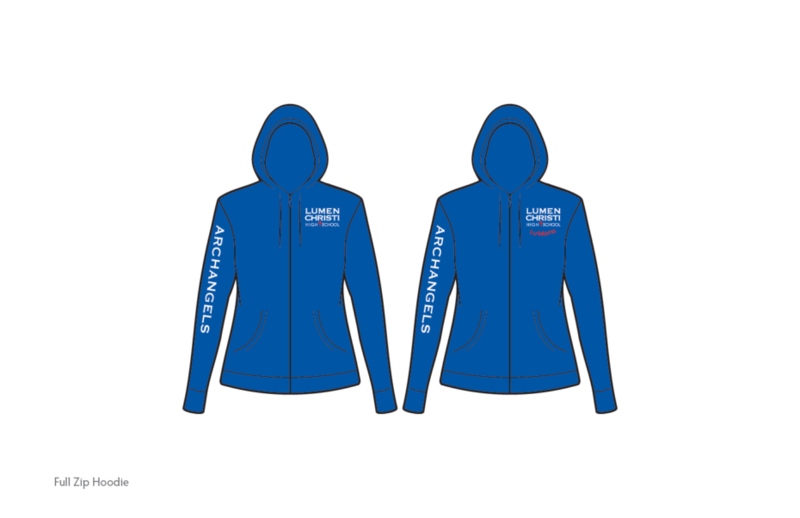 The LCHS school mascot artwork was converted to a vector format, and the design was simplified. 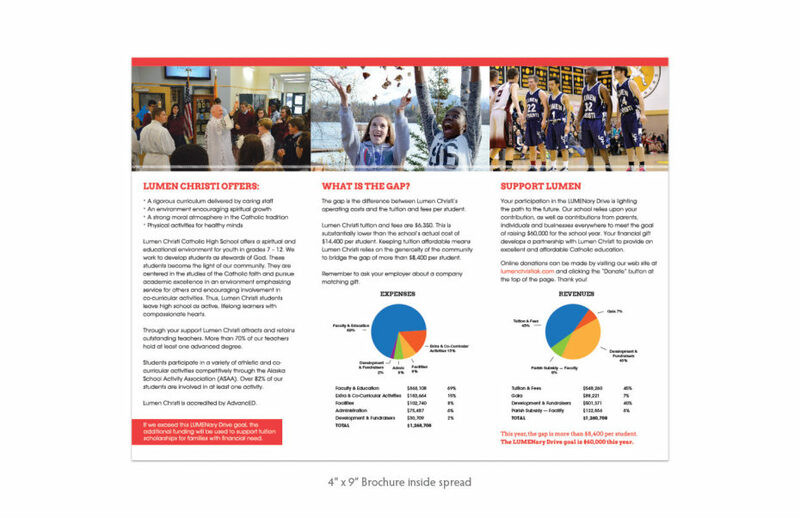 New marketing collateral such as an enrollment kit, postcards, flyers and spirit gear was designed to help promote the school’s mission and long term planning.